A Support Stacie Auction story written for Ithilwen K-Bane. There are times when you do whatever is in your power to make the lives of those you love better, no matter the cost or what they may think. Just a one shot in Esme's perspective of right after her son died and she decided on suicide. From her childhood on the farm, to the horror of her first marriage to falling in love and creating a life with the man of her dreams, follow Esme Anne Platt Evenson Cullen on her journey. This is the true story of everyone's favorite vampire mom. Book one begins when Esme is just a child. At the age of 16, she begins to tell her story in her own words as she meets Dr. Cullen for the first time, teaches, marries, escapes and then falters in the face of the ultimate heartbreak. She muses on what she knows about her human life, which has had a huge part to play in how she lives this current life. The Christmas after Sam's imprint, Leah Clearwater is looking for any way out of the life she's now stuck in. But when she takes a part-time job to save money to leave, an unexpected holiday carpool gives her new reason to stay. A new vampire, with a power unlike any other has been created. 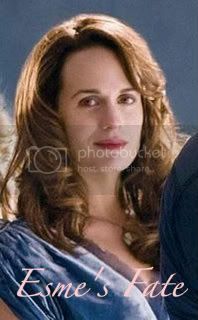 She could hold the key to the Cullens' dreams, or could lead to their destruction. August 2, 2010 - The Token has been nomniated in the "Best Nomad" category in The Single Shot Awards, voting starts August 16...be sure to check out "The Mind's Eye", nominated in the "Best Volturi category. 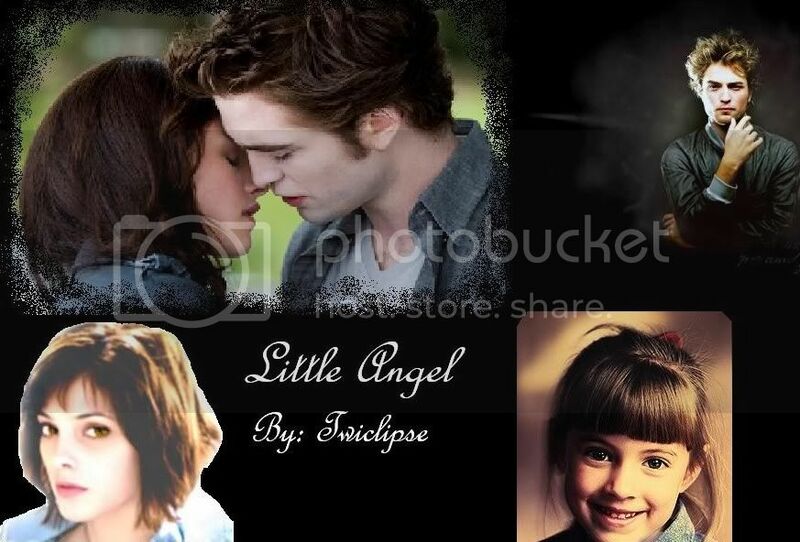 This story takes place about a year and a half before Bella Swan arrived in Forks to rock the Cullens' world. 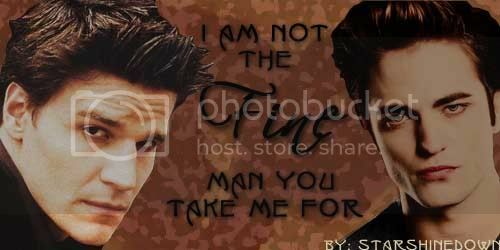 Our main character, Daniel Finnegan, has just arrived in Forks, from Pittsburgh. His father died when he was an infant and his mother was recently committed. His only living relative works for logging company in, you guessed it, Forks, Washington. Sent to live there until either his mother is released or he becomes 18, Dan finds himself alone and coming to the realization that hockey, his passion, is now a dream he'll have to let go. Or, so he thought. At seventeen, Bella had a warm, dry, happy life in Arizona with her mom and stepdad. Can a wayward thought, an old movie, and a group of breathtakingly beautiful, golden-eyed spirits lead her to her cold, wet destiny? Entry for To Go Amongst Mad People contest. Who was Alice before she became the vampire we know and love? This is a look into Mary Alice Brandon's childhood. One-shot. Rosalie Cullen's musings, taking place in a single Forks High lunch period. When Bella moved to Forks, she thought her biggest problems would be finding a job, buying a car, and surviving highschool. 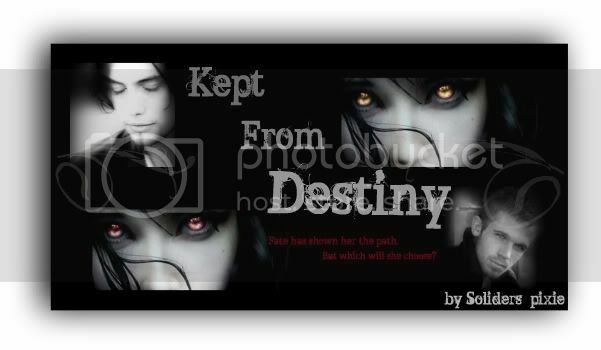 Until one day, she begins working for the dashing Dr. Cullen and spots a lonely boy in a photograph who inexplicably calls to her cautious heart and leads her into a world of myth she can scarcely comprehend. For the past century, Edward has lived a sort of half-life. Gifted with immense power, but forever alone, he has come to loathe his very existence. A vision of a beautiful girl holds promise of a better future, but how could he ever claim to truly love her if he is willing to corrupt her soul? She's afraid of rejection. He's afraid to commit. Will it take a tragic accident to prove that love can both create and heal the deepest wounds? This is a re-telling of Twilight centered around the assumption that Alice DID predict the fateful meeting in Biology. I have tried hard to maintain the integrity of the central characters, so we do have insecure Bella and angsty Edward, but the plot will take us to very different places. All canon pairings. Some characters slightly OOC. Told from alternating Bella/Edward POV's in each chapter. Rating is for language, violence, and mature themes in later chapters. What happens when Edward meets Bella a little too early in the story? Has Alice been hiding something? And will Edward be able to wait any longer when he has already waited over eighty years? Thanks so much for my banner made by blue2185!! Emmett attempts to scry Edward’s future. But will the arrival of a pair of unexpected guests make his method worthless? 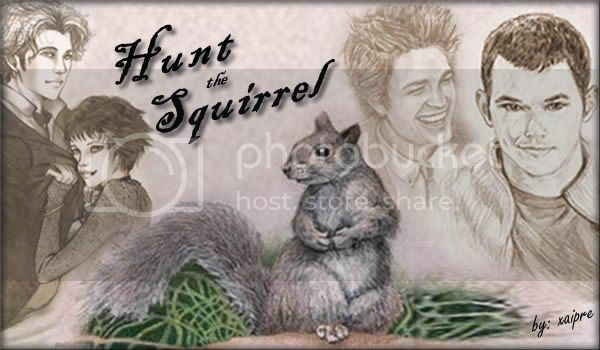 In this banner the sketch of Emmett is by bendwater88, Edward is by Lina Zol, Jasper and Alice is by kara-lija, and the squirrel is by Karen Gaskin. 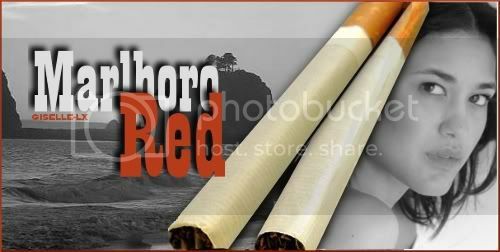 The banner was made by myself. “Because there’s no point in defying God any more than we already do,” Edward said, the emphatic edge to his voice nearly desperate.